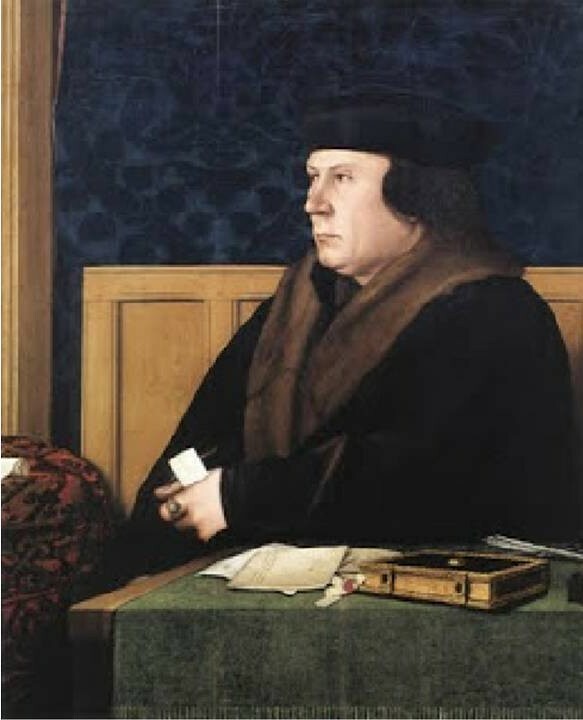 On this day in 1538, Henry VIII’s Vicar-General Thomas Cromwell mandated the keeping by parish clerks of registers of births, deaths and marriages (“every wedding, christening and burying”) within their parishes – to which we owe much of what we now know of everyday past life in London. According to the Parish Clerks’ “Bills of Mortality” for the “Plague Year” of 1665, 68596 people died of the – bubonic – plague in London in 1665, including 112 in the parish of All Hallows Staining (the church collapsed in 1671, it is said on account of undermining of its foundations by plague burials). A further 4808 people died of “consumption and tiffick”, which might actually have been the plague as well. And 5 died of being “distracted”! Among the plague victims was my twelve times great-aunt’s first husband, Robert Mickell, who succumbed on 17th September, 1665 (having written in his will only days earlier, evidently only too aware of his own mortality, “I … being well in body … praised bee God for the same but considering the frailty of man’s life and not knowing how soon it may please Almighty God my creator to call me out of this transitory world doe make and ordayne this my last will and testament … ”). He died as the epidemic reached its peak, killing over a thousand people a day. The epidemic finally began to abate with the onset of the cold weather in October, 1665, which would have rendered inactive the rat fleas responsible for its spread. This entry was posted in 16th century London, London History, On this day, Post-Medieval, Tudor and tagged Bills of Mortality, Henry VIII, Thomas Cromwell on September 5, 2018 by Bob Jones - The Lost City of London. On this day in 1540, Henry VIII’s Chief Minister Thomas Cromwell was beheaded at Tower Hill on trumped-up charges of treason and heresy, having earlier been attainted, or in other words essentially found guilty without trial. He had finally fallen out of favour, and victim to the sort of court intrigue that to that date he had himself customarily been behind, over his ill-advised choice of Anne of Cleves as the new wife for the King. “I am come hether to dye, … for … I am by the Lawe comdempned to die, and thanke my lorde God that hath appoynted me this deathe, for myne offence: For … I have lived a synner, and offended my Lorde God, for the whiche I aske hym hartely forgevenes. And … beyng but of a base degree, … have offended my prince, for the whiche I aske hym hartely forgevenes, and beseche you all to praie to God with me, that he will forgeve me. O father forgeve me. O sonne forgeve me, O holy Ghost forgeve me: O thre persons in one God forgeve me. And now I praie you that be here, to beare me record, I die in the Catholicke faithe … . Many hath sclaundered me, and reported that I have … mainteigned evill opinions, whiche is untrue, but I confesse that like as God by his holy spirite, doth instruct us in the truthe, so the devill is redy to seduce us, and I have been seduced: but beare me witnes that I dye in the Catholicke faithe … . And I hartely desire you to praie for the Kynges grace, that he maie long … reigne over you. And once again I desire you to pray for me, that so long as life remaigneth in this fleshe, I waver nothyng in my faithe”. “[H]e … committed his soule, into the handes of God, and so paciently suffered the stroke of the axe, by a ragged and Boocherly miser, whiche very ungoodly perfourmed [botched] the Office [Execution]”. This entry was posted in Contemporary accounts of events, London History, On this day, Post-Medieval, Tudor and tagged Anne of Cleves, Austin Friars, Henry VIII, Thomas Cromwell, Tower of London on July 28, 2018 by Bob Jones - The Lost City of London. On this day in 1534, Elizabeth Barton, otherwise known as the “Holy Maid of Kent”, was hanged and beheaded at Tyburn for treason, for having earlier prophesied that if the king, Henry VIII, were to break from the Catholic Church and divorce Catherine of Aragon to marry Anne Boleyn, he would die, and be sent to Hell (*). Her head was impaled on a spike on London Bridge, and the rest of her body buried in Greyfriars Church (now Christ Church Greyfriars or Christ Church Newgate Street). Elizabeth had been born in the parish of Adlington in Kent in 1506, and reportedly begun to experience visions prophesying the future in 1525. Thousands of ordinary folk came to believe in her prophesies. Some of the highest in the land also came to believe in her, including Bishop John Fisher, Archbishop William Warham, Cardinal Thomas Wolsey, the second most powerful man in England after the king, and indeed, if only for a short while, while she spoke for him, the notoriously fickle king himself. However, as soon as she started speaking against the king, he turned against her, and his agents, including Thomas Cromwell, arranged for her to be condemned without trial, by a Bill of Attainder. (*) Also on this same day in 1534, prominent citizens of London were required to swear the Oath to the Succession, acknowledging Anne as Henry’s lawful queen, and any children they might have as lawful heirs to the throne. This entry was posted in 16th century London, London History, On this day, Post-Medieval, Tudor and tagged Anne Boleyn, Catherine of Aragon, Elizabeth Barton, Greyfriars Church, Henry VIII, John Fisher, London Bridge, Thomas Cromwell, Thomas Wolsey, William Warham on April 20, 2018 by Bob Jones - The Lost City of London. The Dissolution of the Monasteries under Henry VIII in 1536-40 essentially resulted in the appropriation by the Crown of all the monastic houses in England, Wales and Ireland, of which there were several hundred, and of all of their assets (monastic houses in Scotland were annexed by the Scottish King, James VI, in 1587). The smaller houses, with incomes of less than £200 per year, as evaluated by the Valor Ecclestiacus, were dissolved under The Act for the Dissolution of the Lesser Monasteries of 1536; the larger ones, by The Act for the Dissolution of the Greater Monasteries of 1539. After the Dissolution, the assets of the monastic houses were disbursed, under the auspices of Henry’s Vicar-General and Vice-Gerent in Spirituals Thomas Cromwell, and his Court of Augmentations. 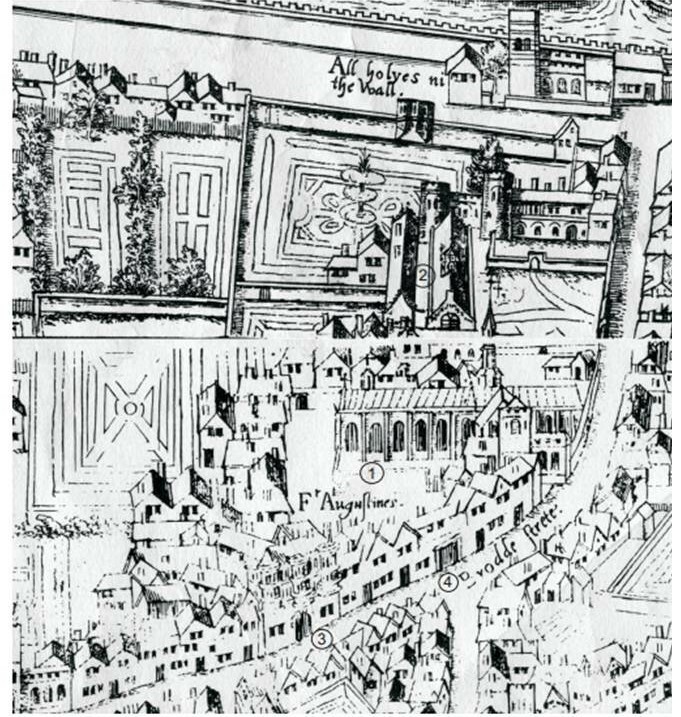 In London, the change in land ownership and usage is evident in the marked contrast between the map of 1520, from before the event, and the “Copper Plate” one of 1556-8, the “Agas” one of 1561-70, and the Braun and Hogenberg one of 1572 (*), from after the event. Many of the former monastic properties evidently became parish churches, hospitals, orphanages or schools, or combinations thereof, or play-houses, while others passed into private ownership. Of the former monks, nuns and priors, of whom there were several hundred city-wide, and several thousand country-wide, most went to work in the newly created parish churches, although a still substantial number were forced to seek out entirely new ways of life (**). All were at least offered more or less generous pensions, although none of their servants was. (*) The Braun & Hogenberg map was published in 1572, but still shows “old” St Paul’s with the spire it lost in a lightning strike in 1561. 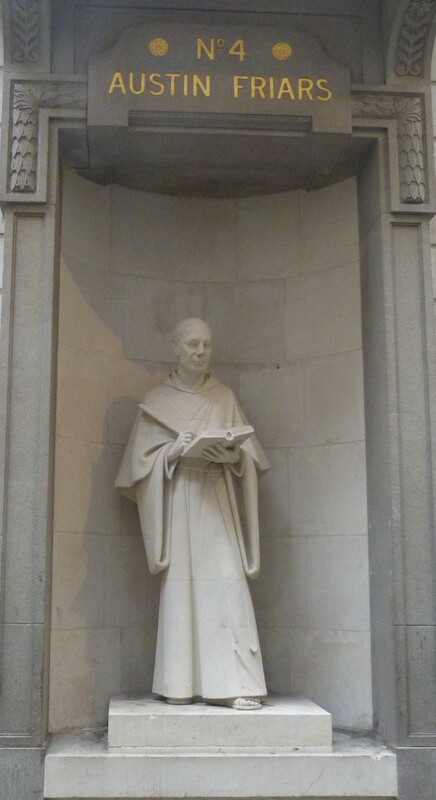 (**) Lest we forget, between 1535-40, the Prior (John Houghton) and six Carthusian monks from the London Charterhouse, two Priors from other Charterhouses, a Bridgettine monk from Syon Abbey, and a secular priest were hanged, drawn and quartered for treason, for refusing to take an oath acknowledging the king as the head of the church, most of them at Tyburn. And in 1537, a further nine monks from the London Charterhouse died, or rather were allowed to die, of starvation, in gaol at Newgate. This entry was posted in 16th century London, Post-Medieval, Site is on a Lost City of London Tour, Tudor and tagged Charterhouse, Dissolution of the Monasteries, Henry VIII, John Houghton, Thomas Cromwell on July 3, 2017 by Bob Jones - The Lost City of London. Wimbledon was first recorded in c. 950 as Wunemannedune, from the Old English personal mane Wynnmann and “dun”, “hill”. The original church of St Mary was built here in the Saxo-Norman period. A manor house, known as the Parsonage House and later the Old Rectory, was built here in c. 1500; and a second one, known as Wimbledon House or Palace in c. 1588. The village of Wimbledon grew up around the church and manor houses. Eagle House, on the High Street, was built for Robert Bell, Master of the Worshipful Company of Girdlers and Co-Founder and Director of the British East India Company, in either 1613 or 1617 (sources differ). The Rose and Crown, also on the High Street, was built in the middle part of the seventeenth century. The area only began to become densely built up after the arrival of the railway in 1838. It is now part of the London Borough of Merton. As noted above, the original church of St Mary was built during the Saxo-Norman period, and is mentioned in the Domesday Book of 1086. It was rebuilt in the later Medieval period, at the end of the thirteenth century, and again in the eighteenth to nineteenth centuries. The oldest surviving part is the chancel. The Cecil Chapel contains a stained-glass window dating back to the fifteenth century, and a number of memorials from the seventeenth century, including that of Edward Cecil, 1st Viscount Wimbledon (d. 1638), son of Thomas, and grandson of William. Elsewhere in the interior are memorials to Philip Lewston, who died in 1462, and William Walter, who died in 1587. And commemorative plaques to the abolitionist William Wilberforce, who lived locally and died in 1833, and who is buried in Westminster Abbey, and to the “Sewer King” Joseph Bazalgette, who also lived locally, and died in 1891, and who is buried in the family vault in the churchyard. What is now known as the Old Rectory was built in c. 1500 for the church, the manor at that time being owned by the Archbishops of Canterbury. After the Dissolution of the Monasteries, the King, Henry VIII, gave it to Thomas Cromwell, in 1536, and then – after Cromwell’s fall from grace and execution – to the Queen, Catherine Parr, in 1543. Henry visited the house in 1546, after being taken ill on a tour of his Surrey palaces, and indeed was so ill he could not make it up the stairs, such that a bed had to be made up for him in front of the fireplace in the entrance hall. In 1550, it became a grace-and-favour home for William Cecil, who went on to become 1st Baron Burghley – and Elizabeth I’s chief adviser. The house still stands to this day, its appearance altered from that in Tudor times essentially only by the demolition of some parts and the restoration of others in the early eighteenth century. However, it is now carefully screened from public view. Wimbledon House or Palace was built in c. 1588 for William’s son Thomas Cecil, 1st Earl of Exeter. It was subsequently rebuilt – by Inigo Jones and Nicholas Stone – in 1639, for King Charles I’s Queen, Henrietta Maria, taken away from her during the Civil War in 1642, and only given back after the Restoration in 1660, and sold – in a sorry state of repair – in 1661. It was eventually demolished in 1717. This entry was posted in Far flung London, London churches of note outside the City of London, Medieval, Post-Medieval, Saxon and tagged Catherine Parr, Charles I, Elizabeth I, Henry VIII, Inigo Jones, Joseph Bazalgette, Nicholas Stone, Old Rectory, Parsonage House, Queen Henrietta Maria, St Mary Wimbledon, Thomas Cecil, Thomas Cromwell, William Cecil 1st Baron Burghley, Wimbledon, Wimbledon House, Wimbledon Palace on August 25, 2016 by Bob Jones - The Lost City of London. 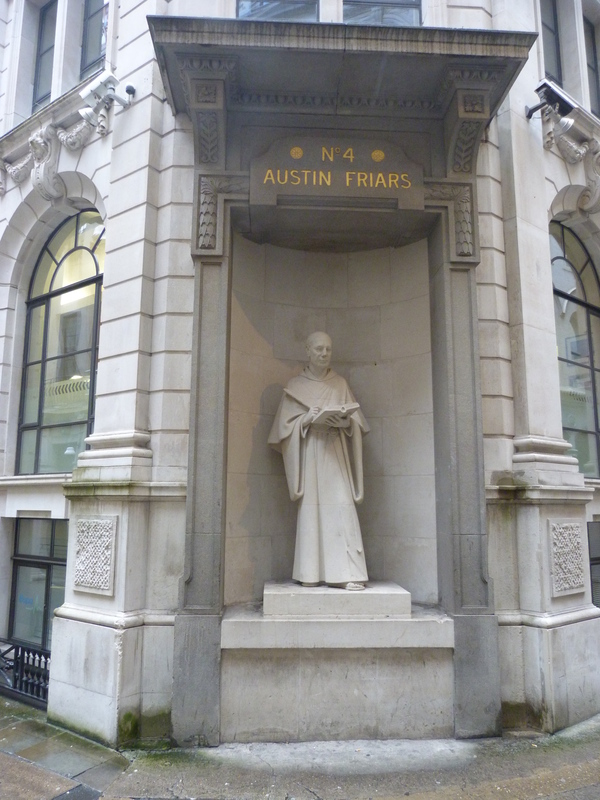 The street of Austin Friars, off Old Broad Street, takes its name from the Augustinian Priory that once stood nearby. The priory was originally built by Humphrey de Bohun, Constable of England, in around 1253, the priory church incorporating the existing parish church of St Peter-le-Poer as a private chapel; and it was extended in 1354. The priory was attacked during the Peasants’ Revolt of 1381, when 13 Flemings were dragged from its sanctuary and beheaded. Many of the barons killed at the Battle of Barnet in the Wars of the Roses in 1471 were buried here. Erasmus of Rotterdam, the Dutch priest, theologian and philosopher, the so-called “Prince of the Humanists”, lodged here in 1513, complained about the quality of the wine on offer, and left without settling his bill! Miles Coverdale worked on his translation of the Bible here in 1529. 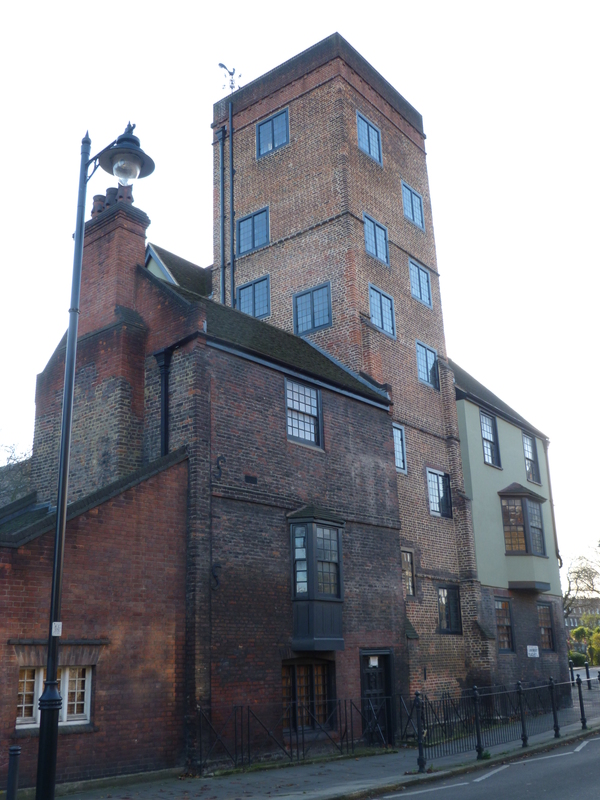 And Thomas Cromwell, the lawyer, banker and soldier, and sometime statesman, Vicar-General and Vice-Gerent in Spirituals to Henry VIII, lived here from the 1520s until his execution for treason and heresy in 1540. After the Dissolution of the Monasteries in 1538, most of the priory precinct came into the possession of Sir William Paulet, the First Marquess of Winchester, who built himself a substantial town-house there, which survived the Great Fire of 1666, but was demolished in 1839. (Cromwell’s house came into the possession of the Drapers’ Company in 1543, but was burned down in the Great Fire of 1666). 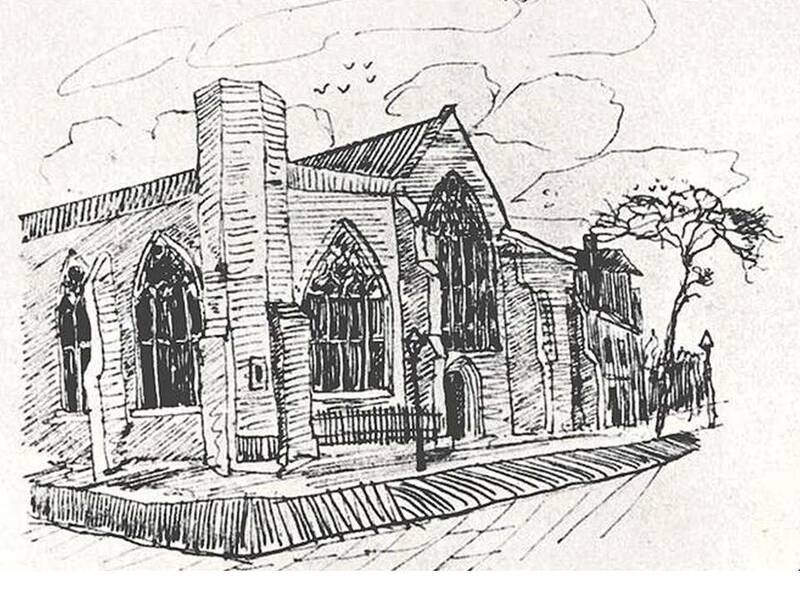 In 1550, under Edward VI, part of the priory church was given over to the local Dutch Protestant community to serve as their church, “notwithstanding that they do not conform with the rites and ceremonies used in our Kingdom”; and the remaining part reverted to being the parish church of St Peter-le-Poer. The Dutch Church survived the Great Fire of 1666, but was destroyed in another fire in 1862, rebuilt in 1863, destroyed again in an air raid in 1940, and rebuilt again in 1950-56. St Peter-le-Poer was also essentially undamaged in the Great Fire of 1666, although ash from the fire settled on an open prayer book in the church, and obscured the text. However, it later fell into disrepair, and had to be repaired in 1716 and rebuilt, by Jesse Gibson, in 1788-92, only to be demolished in 1907-08, when the parish was merged with St Michael Cornhill. 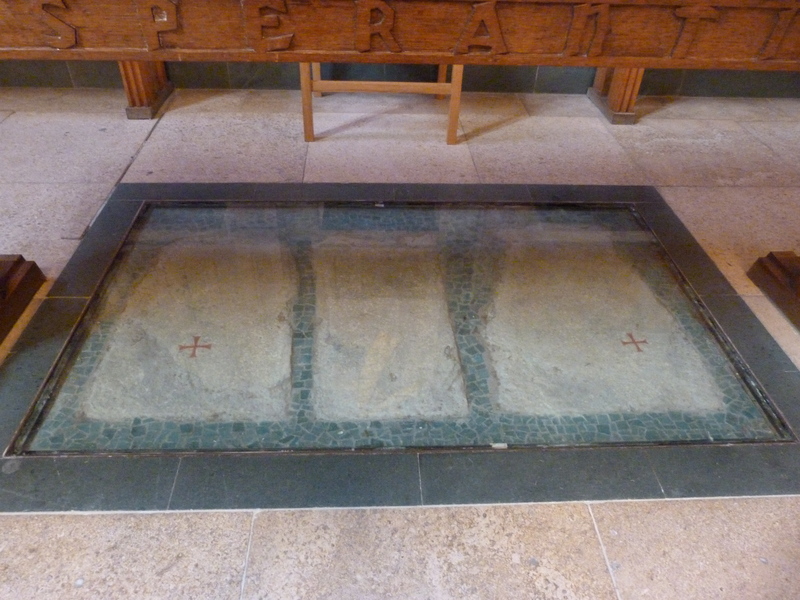 Nothing now remains of the church at its former site, although the salvaged pulpit and font still survive, in St Peter-le-Poer in Friern Barnet. On a related note, Thomas Cromwell’s house in Austin Friars is the setting for a number of scenes in the historical novels “Wolf Hall” and “Bring Up The Bodies” by Hilary Mantel. The books have been adapted – by Mike Poulton – into stage plays: utterly compelling pieces of narrative story-telling, clearing some of the sometimes confusing “scribble of mist” of the books, while retaining much of their evocative atmosphere. They have now also been adapted – by Peter Straughan – for television, with Mark Rylance playing Thomas Cromwell. 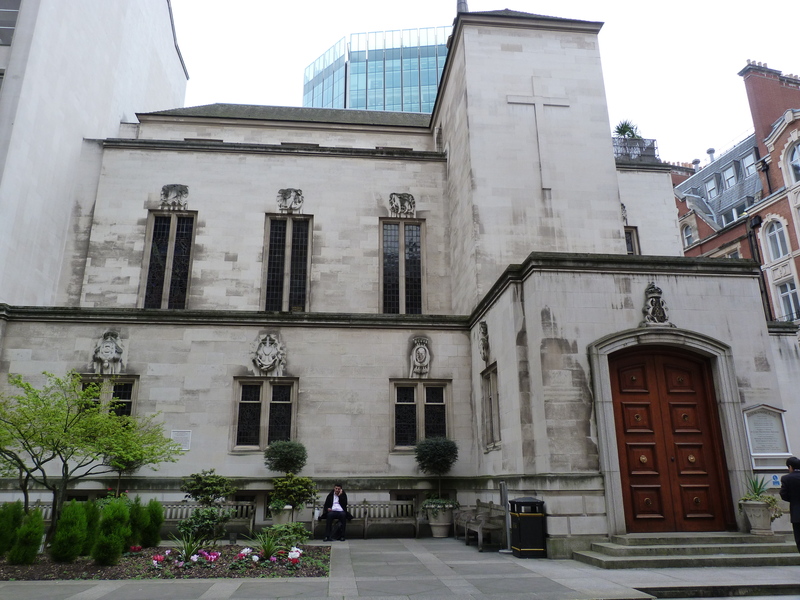 This entry was posted in 13th Century London, 16th century London, London Churches, Rebellious London and tagged Austin Friars, Dissolution of the Monasteries, Dutch Church, Thomas Cromwell on May 28, 2014 by Bob Jones - The Lost City of London. Islington was first recorded as Gislandune in around 1000, taking its name from the Old English personal name “Gisla” and “dun”, or down, meaning an area of high and dry ground. Prior William Bolton of the Priory of St Bartholomew the Great built Canonbury House in Canonbury Square here in 1509, of which the tower still stands. The house was later occupied at one time or another by Thomas Cromwell, by the one-time Lord Mayor of London John Spencer, and by Francis Bacon (not to mention, in the eighteenth century, by Goldsmith). This entry was posted in 16th century London, Far flung London, History, History of Architecture, London, London History, Tudor and tagged Canonbury, Francis Bacon, Islington, Prior William Bolton, Thomas Cromwell on November 13, 2013 by Bob Jones - The Lost City of London.